Sharing is caring, right? There are a number of things that we happily don't mind sharing with people. Come to think of it is not really uncommon to offer to share things amongst friends and family. From your clothes to food, we don't mind sharing with the people we love. However, as generous as you may be, some things should most definitely not be shared. It may seem harmless at first but the fact of the matter is that more often than not we forget that something is meant not to be shared. From health concerns point of view here are a couple of things that should never be shared or borrowed. Listening to a good song or even to talk on the phone, earphones are a blessing in disguise. But what we not realize is the fact that when we keep earphones plugged in a lot of bacteria gets trapped in the headphones from our ears. 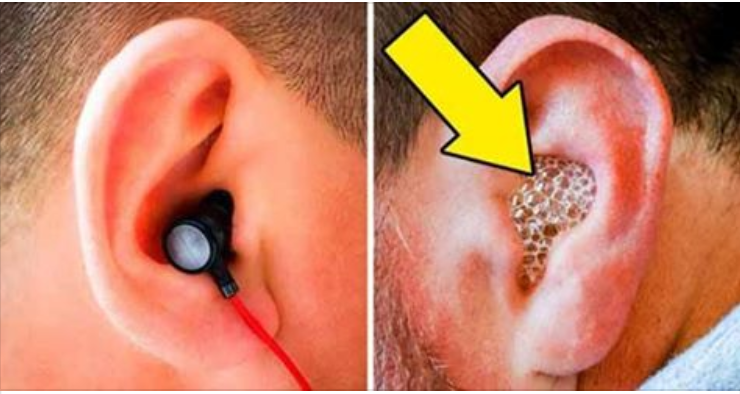 You will be surprised to know this but studies have revealed that the bacteria in the ear increases about seven times simply by using headphones. So when you are sharing someone else's earphone you are also sharing the germs that come with it. There can be nothing worse than sharing your dental hygiene products. Trust me when I say this but there isn't a more personal item than your very own toothbrush. So no matter what happens don't share it. As sharing a toothbrush could result in an increase of infections. Dentists have revealed that an average toothbrush which has been used for about three months might hold a lot of bacteria. So don't share this as well. No matter what happens sharing intimate garments can result in the wearer having skin rashes or infections. From your undergarments to your socks, some things are meant not to be shared. Trust me when I say this, some areas of our body are different from the rest so sharing underwear in the worst case scenario may lead to UTI. And when it comes socks, sharing them may cause foot fungus, itching etc. When you use a creme more often than not you tend to dip your fingers in it. What you don't know is that by doing so you are spreading germs that may cause fungal infection and many other skin problems for you. If you have an option always opt for products in airtight pump bottles. This prevents the growth of bacteria. Interested in making money online or, maybe, generating a source of passive income online? Need to earn extra income working from home? If you are looking for some additional income or even a full-time income, try online businesses and Internet business ideas such as creating websites or offering web design services. No need to scam people or resort to illegitimate methods. According to doctors, one must never share razors with anyone because there is a high probability of you getting hepatitis or any other infections. A lot of bacteria and even fungi thrive on your razor which may, in turn, cause you to have many skin problems. So no matter what happens, don’t forget to change your razor regularly, and what happens don't share it with someone else under any circumstances. Make a note of these things to avoid any unwanted issues in your life.